Following the launch of the road transport industry’s first and only accidental tyre damage guarantee for its regional and on/off-road commercial vehicle tyre ranges, Michelin has received just 1,391 eligible claims for damage from nearly 250,000 tyres sold in the UK and Ireland – a claim rate of just 0.59 percent, demonstrating unrivalled product quality. The guarantee promises to refund bus, coach and truck operators for accidental damage suffered before a tyre is 50 percent worn, provided it has been registered on the Michelin MyAccount web portal within one month of purchase. 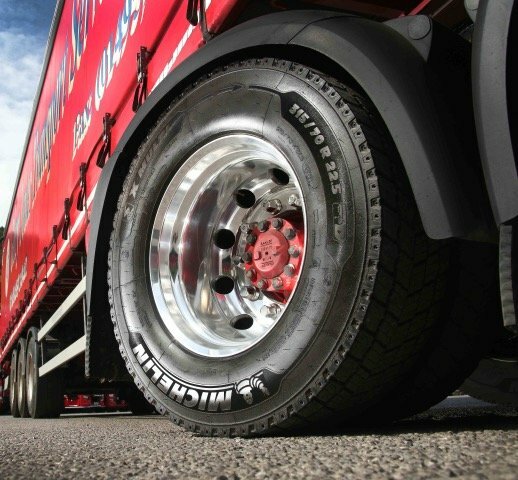 “Some fleets choosing budget tyres do so because they believe accidental tyre damage occurs regardless of tyre choice – but this is a false economy. Every Michelin tyre is designed to be durable, and offer superior on-road performance, fuel efficiency and safety over a long service life,” he added. The Michelin X Multi guarantee for regional tread patterns covers 51 bus, coach and truck tyre sizes, including all X Multi and X MultiWay regional tyres, in all available sizes. An X Works and X Works HD guarantee is also available for truck tyres used in on/off-road applications, covering 24 sizes, plus three sizes of Michelin Remix retread tyres. ‘Accidental damage’ is defined by Michelin as an impact occurring to a registered tyre which makes it unusable. The policies exclude damage suffered through road accidents, acts of vandalism, fire and natural disasters. A total number of claims made against the guarantee totalled 1,606, but 215 claims were not eligible for the guarantee after inspection by Michelin technicians. Reasons for being declined included the tread being more than 50 percent worn, claims for tyres not covered by the guarantee or brake flat spotting damage due to brake locking.